An archivist explained to Smith that the release of materials was tightly controlled by the former president’s longtime confidant Bruce Lindsey. Could she look at memos detailing the advice Hillary gave Bill during debates over welfare reform? Smith asked. No, the archivist said, those memos were “closed” to the public because they dealt with “policy” matters. 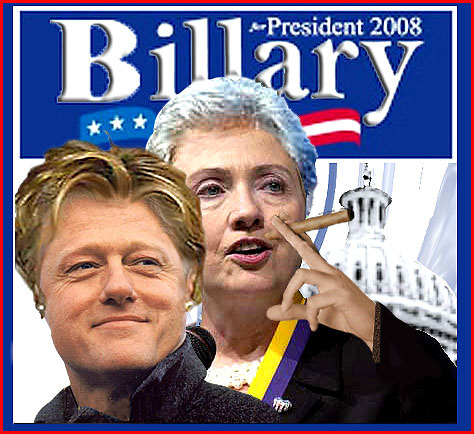 What about any records that show what advice Bill gave his wife about her 2000 U.S. Senate campaign? Those, too, were closed, the archivist said, because they dealt with “political” matters. “He essentially told me I had no chance of getting anything,” says Smith, whose book, “For Love of Politics: Bill and Hillary Clinton, the White House Years,” hits the bookstores this week. Mess with the Hill and you’ll get burned. Let the story lie, lest you pay the price for prying.